City’s Professor of European Union Law and Jean Monnet Professor of EU Law, Professor Panos Koutrakos, says the outcome of the 23rd June 2016 referendum could seriously affect the UK’s international obligations. 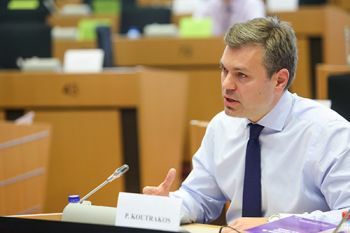 The City Law School's Professor of European Union Law and Jean Monnet Professor of EU Law, Professor Panos Koutrakos, says the outcome of the 23rd June 2016 referendum, in which Britons decide whether the UK will remain within the European Union, “may have a profound impact on the international obligations that the UK has assumed”. Prime Minister David Cameron announced the date of the referendum on 20th February after finalising an agreement around a renegotiation of the UK’s relationship with Europe. If the UK voted to remain within the EU, the agreement would give rise to developments in areas such as migrant welfare payments and Britain's financial services. Professor Koutrakos goes on to say that “If the UK decided to leave the EU, it would have to re-examine the international treaties under which it is currently bound in the context of EU law, and negotiate many treaties which would straddle a wide range of policy areas”. In December 2015, Professor Koutrakos and Professor Sir Alan Dashwood QC, gave evidence to the House of Commons Foreign Affairs Select Committee on the costs and benefits of EU membership for the UK. A referendum is a vote on a ballot question, which involves the Government asking all members of the eligible voting public (the ‘electorate’) to cast a vote to accept or reject a certain proposition.